The 1-2 year IR-Independent residency will provide a broad and more in-depth experience in the clinical diagnosis and care of patients with diseases commonly treated by an interventional radiologist. Furthermore, the residency allows the trainees an opportunity to become more familiar with and participate in research to further the field of vascular and interventional radiology. The residency curriculum is configured to provide education and competency experiences in IR and IR-related services as vascular surgery, surgical ICU, body procedures, Neuro interventional, NICV, and consult services that includes IR clinic. In the first year of the two-year residency, the trainee will spend at least six months in IR. In the second year, a minimum of eight months. The program offers up to three independent residency positions that will match through the NRMP. Applicants to the program must have completed a diagnostic radiology residency in an ACGME- or RCPSC-accredited diagnostic radiology program. Applicants must have passed the ABR Core exam at the time of entry into the program. 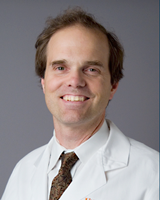 To be eligible for appointment in the second year of education in an independent program, residents must have completed an Early Specialization in Interventional Radiology (ESIR) curriculum in a diagnostic radiology program that has prior approval from the Review Committee for ESIR participation. Graduates of the IR-Independent residency qualify to take the IR/DR exam that is offered by the American Board of Radiology (ABR). 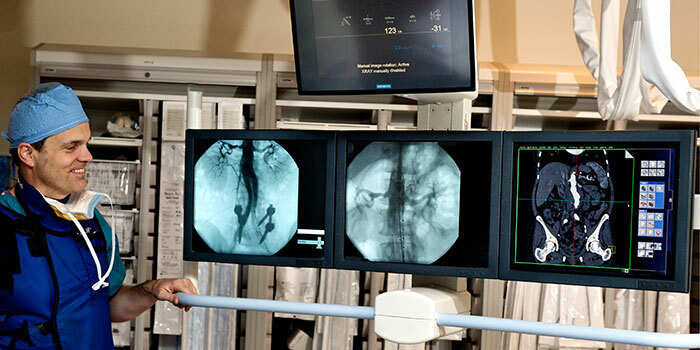 The dual certification recognizes competency in both diagnostic and interventional radiology. We offer up to three independent positions per year. ** Residents who meet the ESIR requirements will complete the second year curriculum. Applications for entry into our program July 1, 2020 will commence December 1st. Applications are only accepted via ERAS. Applicants to the program must have completed or are completing a diagnostic radiology residency in an ACGME- or RCPSC-accredited diagnostic radiology program. Applicants who are offered an interview will be notified via ERAS mail. You will be able to self-schedule using ERAS Scheduler for the listed dates. The scheduler will close one week prior to the interview day. Any changes after the closing of an interview day will be via email. All applicants who are invited to interview will enjoy a social dinner outing with our residents, where you can relax and learn about our program in an informal setting. Our residents will be available during your interview day to answer questions and take you to lunch.